Jim Furyk has succumbed to his nagging wrist injury and will miss the upcoming Presidents Cup matches at Jack Nicklaus Golf Club Korea in Incheon from 8-11 October. Furyk was due to make his eighth appearance for the US team but the bone contusion that forced his withdrawal from the last two FedEx Cup events had not healed sufficiently for him to be confident of performing to the standards required. “There is nothing I take more pride in than representing the United States in The Presidents Cup and the Ryder Cup, and I am deeply disappointed that I will have to withdraw from playing because my wrist, although improving, is still not where it needs to be at this point,” said Furyk. 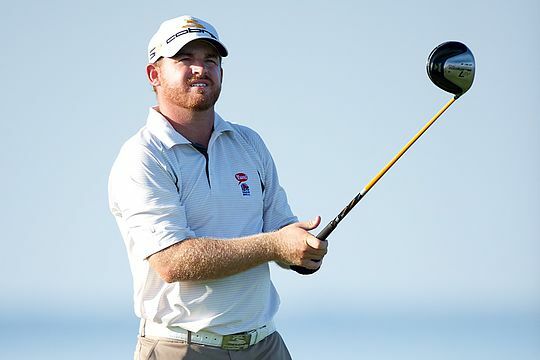 Captain Jay Haas has selected J.B. Holmes to take his place, who had finished No. 12 in the final team standings. Holmes represented the United States in the successful 2008 Ryder Cup campaign in his home state of Kentucky, but this will be his first Presidents Cup appearance. Furyk will travel to Korea to serve as a captain’s assistant to the Haas and the U.S. Team, joining Fred Couples, Davis Love III and Steve Stricker. Captain Nick Price will lead an impressive International team, headed by world number 2 Jason Day, bidding to overturn a run of outs in Presidents Cup play that stretches back to the 1998 event at Royal Melbourne – their lone victory in the Presidents Cup.